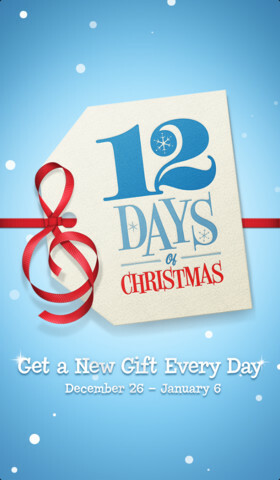 Get 12 Days of Christmas Gifts from iTunes. You and your friends can download a fantastic selection of songs, music videos, apps, books and TV episodes for free. Each download will only be available for 24 hours. Get their 12 Days of Christmas app to make sure you don’t miss out. Don’t have an iPhone, iPad, or iPod touch? Don’t worry. Come back December 26 to download gifts from your computer. 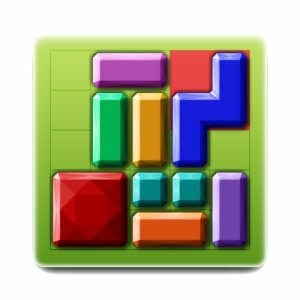 Get the Free Amazon App of the Day - Move it! Amazon.com is offering a free application for all its clients with Android Devices. All you have to do is go to the site and download the application to your Android device. This application also qualifies for the $1.00 FREE Mp3 credit towards any songs on the website. Make sure you take advantage of this freebie. The app is also available for iTunes and Google Play. Get Free SHAPE - Be Your Best You App for iPad from iTunes App Store. Just head over and open iTunes to download this freebie [more freebies] today. It's compatible with iPad. Requires iOS 4.3 or later. SHAPE -Be Your Best YouWhether you want to lost those last few pounds after months of hard work, zone in and tone up on bikini trouble areas or make some long-term changes to your diet, this special digital edition of SHAPE is jam-packed with all of the inspiration and advice you need to reach your goals. 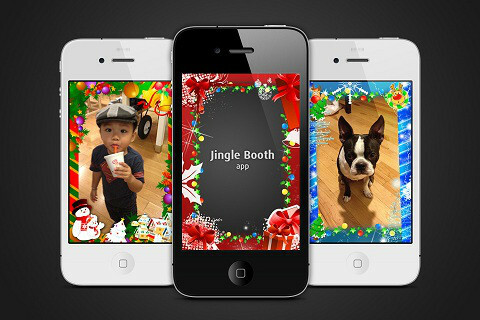 1 ► FREE Jingle Booth – capture seasonal photos with different Christmas background frames. Share your festive pictures on Facebook and Twitter, or send them by email, SMS or MMS. 2 ► FREE oChristmas Tree - decorate your own Christmas tree. 3 ► FREE Merry Christmas Around The World Spinnner - over 100 ways to say ‘Merry Christmas’ around the world & this app the fun, festive, & full list of them all! 4 ► FREE Christmas!! - the biggest and best Christmas app – the only one you’ll ever need! 5 ► FREE Christmas Music ~ 10,000 FREE Christmas Songs! - FREE and LEGAL holiday songs! 6 ► FREE Christmas Wallpapers - Decorate your iPhone with clear and HD Christmas wallpapers. 7 ► FREE Letters to Santa Gold - Send UNLIMITED letters to Santa and read his replies. 8 ► FREE Xmas Carols Lite - lyrics to 20 of the most popular Christmas Carols. 9 ► FREE Christmas RADIO - enjoy a wide variety of Christmas hits from over 50 unique stations. 10 ► FREE My Charlie Brown Christmas Tree - Help Charlie Brown, Snoopy, and the entire Peanuts gang fix up their little tree for their Christmas play! 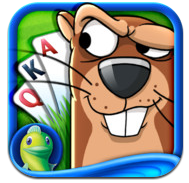 Get the FREE Fairway Solitaire Game for iPhone, iPad or iPod click get it now from itunes. Get Free iOS iPhone App - PDF Expert from itunes. This is a great app and I've been keeping an eye on it for my iPhone. It's normally $9.99. Right now it's FREE!!! Get Free iOS game: Galaxy on Fire 2 from itunes. 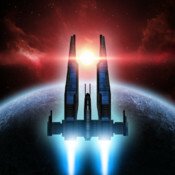 Galaxy on Fire 2™ is the award-winning space shooter that set a new standard for sci-fi gaming on the App Store. If you have an iPhone 5, iPhone 4S, iPad 2 or new iPad, we’d recommend you to download the graphically overhauled HD version of the game. If you have an older iOS device, the regular version of GOF2 would be best for you! 1. 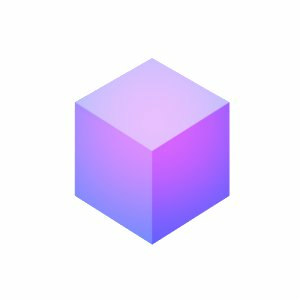 AudioNote - AudioNote lets you link audio recordings to the notes you keep in class or in a business meeting. The app works with a stylus, so you can link recordings to free-hand notes and drawings. The free application usually has some features that are limited, that is why we recommend you buy the full version for $4.99. 2. Photoshop Express - This free app brings you the primary features of Photoshop without the double-digit expense. With Photoshop Express, it's easy to improve your photos. Choose from a variety of one-touch effects, or simply drag your finger across the screen to crop, rotate, or adjust color. Add artistic filters like Soft Focus or Sketch. And never fear: A copy of your original file is always saved, and you can undo and redo changes until you get just the look you want. 3. Sketchbook Pro - Autodesk SketchBook® Pro for iPad is a professional-grade paint and drawing application. Using the same paint engine as its desktop counterpart, SketchBook Pro delivers a complete set of sketching & painting tools through a streamlined and intuitive user interface designed exclusively for the iPad experience. 4. Epicurious - You can use the Epicurious Recipes and Shopping List app on either the iPhone or the iPad. Whether you launch the app from an iPhone or iPad, you get the same robust feature set, customized for the device you're currently using. 5. Wikipanion - This is a great application because you will not have to access your browser for mid-sentence references anymore. Wikipanion taps the Wikipedia database in a fresh, clean, app-based environment. 6. Jasmine - YouTube Client - This application is amazing because it basically substitute of the YouTube app that all iOS devices had prior to the update. 7. Star Walk for iPad - Star Walk is a stellar augmented reality app that labels all the stars, constellations, and satellites you point your iPad at. You can track the ISS, find out what constellation you’ve been looking at from your bedroom window and get a lot of exciting and educative information. 8. White Noise Pro - Create the perfect ambient sound environment for relaxation or sleep. Optimized for the iPad and includes all the great sounds from White Noise with the ability to add and create thousands more using the revolutionary Mix Pad. 9. MindNode - MindNode lets you lay out your notes and tasks visually so you can get a bird's-eye view of your project. The clutter-free interface lets you concentrate on generating and connecting ideas, and an infinitely expanding canvas means that no matter how big or complicated those ideas get, MindNode can keep up. 10. AppShopper - AppShopper keeps you up to date on the newest App Store apps, sales and freebies. Organize apps in your own customized Wish List and automatically get notified when there is a sale or update. Get 15% Off All Apple iTunes Gift Cards, Plus Free Shipping at Best Buy. All iTunes gift card are redeemable at the iTunes Store, iBookstore or the App Store; redeemable for music, movies, eBooks, apps and more. Currently all the email codes are sold out online, so the only way for you to get the discount and the iTunes gift card is if you order a physical gift card. This can be a great addition to a Christmas gift, and you can save some money. Get the Amazon App of The Day - Edge for Android Devices. All you have to do is download the application to your Android device for free. 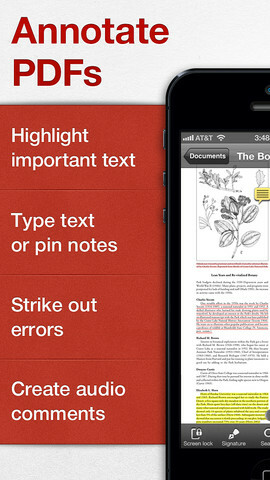 This application usually costs $2.99, but it is free today only. 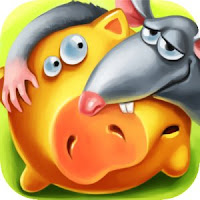 Get a Free Amazon App of The Day - Pick a Piggy For Android Devices. All you have to do is download the freebie to your Android Device and play it. This application usually costs $0.99, but it is free because Amazon is giving it away as an App of The Day. NOTE: This application is also available for download in the Apple Store. The price for it is $0.99. If you have an iPad with Retina Display you can take advantage of the Pick a Piggy HD, which costs $1.99. 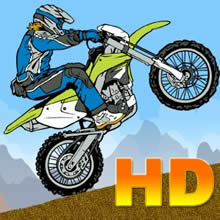 Get the Amazon App of The Day called Moto Mania HD - Dirk Bike Challenge. All you have to do is download the application and install it on your Android device. This application usually costs $0.99, but it is free today. NOTE: You can also get this application on your Apple Devices from the Apple Store, but keep in mind that he application costs $0.99. 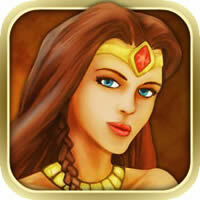 Get a FREE Hero Mages Game for Android Devices. All you have to do is download the application and play it on your Android Device. The regular price for this application is $2.99, but it is free today. Hero Mages is a turn-based tactical strategy fantasy game that combines the fun of role playing games (RPGs) with competitive and cooperative cross-platform multiplayer gameplay. Designed and developed by a single individual driven to share his passion for gaming with the world, Hero Mages also blends the best elements of tabletop miniature and collectible card games. Get the latest generation iPod Touches from Best Buy. They have some great deals on the iPods and offer the a lot of knowledge in all of their stores. Check out your Local Store Here. Visit your local store and get more information about the iPods. If you would like to save on shipping select to pick up the item in store when checking out. Get a FREE PDF-to-PowerPoint software from the Mac App Store. Make it easy for yourself to send a PDF file to friends and family by using this app. 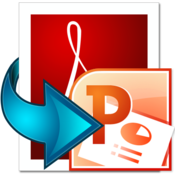 No more difficulties and complications when it comes to PDF, all you have to do is use the app and convert your PDF file to a power point presentation so that everyone can see it.